Xtreme Guns and Ammo has been shipping California Legal AR-15 Rifles to California for years, We are the Largest LWRC AR 15 Rifle Dealer in the Nation for the last 3 Years 2015,2016 and now in 2017. 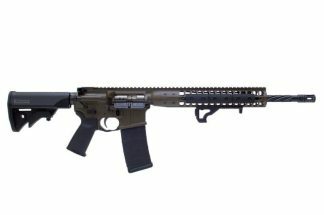 LWRC is introducing a new line of California Legal AR-15 and AR-10 Rifles at the 2017 Shot show in Vegas that will be under the new California Compliance Law. LWRC’s California Legal AR-15 Rifles will not be featureless rifles, they will have a full stock and grip and the ability to drop the mag once the rear take down pin has been disengaged. LWRC has always been on the cutting edge of AR 15 technology, LWRC has out done itself with the introduction of there new California Compliant AR 15 Rifles (patent pending) designs.This is there gift to the loyal California Residents that are under a almost communist approach to Gun Laws. Feel free to call Xtreme Guns and Ammo with any of your California Legal AR-15 Rifles Questions at 832-363-3783.